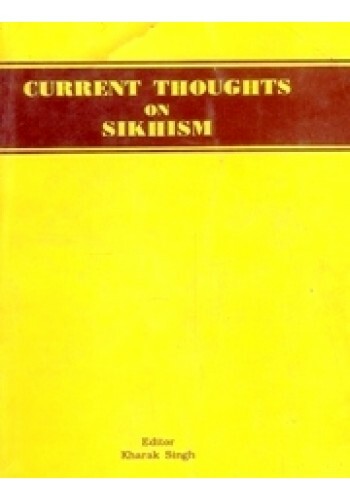 I take sincere pleasure in presenting this gift of the Institute to our readers, which reflects the collective thinking of the entire intellectual community of Sikhs on several basic issues. Identity of Sikhism was never in doubt. Some sections of non-Sikhs have, however, found it difficult to concede this fact. This failure has invariably led to problems, the latest among, which are the happenings in Punjab during the last few decades. It is hoped that this volume will lead to a better understanding of the Sikh faith, which, as Dr Noel King says, is a paradigm for study of comparetive religion. With its emphasis on balanced spiritual and physical development of the individual and Society, on justice and equality of all human beings, on work and sharing, and its philisophy of love and brotherhood of mankind and fatherhood of Akal Purakh (The Immortal Lord), Sik­hism is a religion for the world in the comming centuries. "We shall see hereafter, it would be difficult to point to a religion of greater originality or to a more comprehensive ethical system". I express my sincere appreciation of Dr Kharak Singh, both in organising the "Sardar Daljeet Singh Memorial International Sikh Studies Conference", and in editing this book. Preface To Book 'Recent Researches in Sikhism' Book By Jasbir Singh Mann and Kharak Singh ..